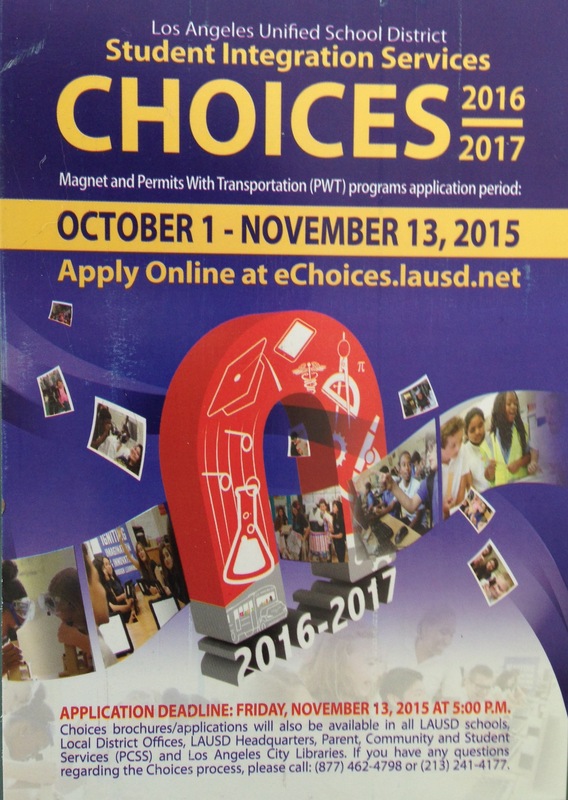 Hey LAUSD Residents: With just under three weeks left, it’s time to get your Magnet applications in! Magnet programs are court-ordered voluntary integration programs that provide a diverse, enriched, theme-based educational environment for lucky lottery winners. With 210 magnet programs throughout LAUSD, there are lots of specialized school opportunities to apply to, with transportation provided if you qualify. Additionally, since it’s based on a weighted lottery system, there are those confounded POINTS! If you’ve picked up one of my guidebooks or attended one of my talks, you should be well-versed in the ins and outs of magnet point collection and selection strategy: How to get in. How NOT to get in. How to maximize your options for future years. In any case, between Oct 1st and Friday, November 13th, 2015 BEFORE 5p, LAUSD residents can apply online to the Magnet programs of their choosing for the following year. Visit echoices.lausd.net to apply. It’s paperless. It’s easy. And it’s free. – Must be an LAUSD resident to be eligible. Falsified applications will be disqualified and removed from the program. – No longer accepting late applications. But you can amend your online app up until the Nov 13th 5pm deadline. – First round of Notification letters will go out by the end of March and will be sent via email if applied online. After that, additional admissions opportunities will be offered in the order of the wait list until all seats are full. – If you “Don’t Answer” the call/email it’s still considered a pass – and you lose all accumulated wait list points. – Students MAY be contacted with an opening up until the 4th week of school. (This DOES happen. The late notification.) Waitlist points will finalize after the 4th week of school if you haven’t gotten an offer. So, let’s get those Magnet apps in! – You can select UP TO 3 MAGNET Choices on the application. Points will only attach to your 1st choice. (Optional 2nd and 3rd choices will be entered with 0 points.) If you aren’t selected in any of your choices during the initial automated lottery, you are placed back on the waitlist of only your 1st choice. – You are not required to select 3 choices. If accepted to ANY magnet program at any point and turn it down, you will lose ALL accumulated waitlist points. – Only submit ONE application per child. (Check with other parent to make sure you didn’t both apply.) Must be applying for the correct and appropriate grade for 2016. State Law governs age eligibility: 5 by Sept 1st for Kinder, 6 by Sept 1st for 1st Grade. – You may change your selection(s) every year. The points follow the child. – Student info (address, telephone, grade) MUST MATCH info at child’s current LAUSD school. Any changes of address must be made at your child’s LAUSD school of attendance before the application deadline to be considered for the assignment of priority points. It’s the Parents’/Guardians’ responsibility to verify student info. 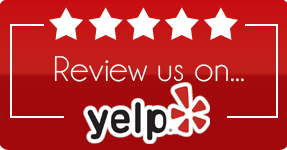 – Twins are treated as individuals and require separate apps. There is a space to enter sibling info on each app. If only one gets in, sibling points will apply the following year. – Gifted/High Ability and Highly Gifted applicants must provide verification AHEAD of the Nov 13 deadline. See: echoices.lausd.net/Magnet/GiftedCriteria. If this seems overwhelming or you want to discuss strategy or how the points work, please contact me for a consultation. Or sign up for one of my upcoming Magnet Webinars HERE. I’m happy to help. Magnets are just one of many public school options.